We are a full service AS9100D certified CNC Precision Machine Shop. Some of the industries we are currently serving are aerospace, Department of Defense, agriculture and refrigeration. With our experience, quality and state-of-the-art manufacturing methods and equipment, Puch Manufacturing's team of professionals will execute your machined component precisely, on time and for a competitive price. We are staffed and run three production shifts to ensure customer satisfaction by delivering a quality product on time! Founded in 1967, Puch Manufacturing Corporation has established itself as a company built on American hard work and ingenuity. From engineering and production to quality and shipping, our highly experienced staff are focused on our customer's satisfaction. Puch Manufacturing has a proven quality process supported by a team of experience professionals that get the job done right the first time. We are ISO 9001:2015 and AS9100-D certified! 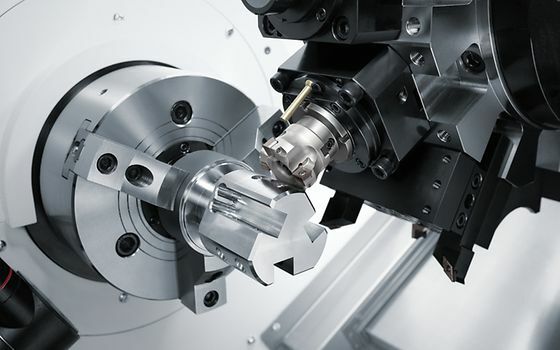 Our machining capabilities include the most advanced precision cnc machines. We have the high capacity, multi-tasking cnc machines to get the job done on time. Check out our precision machining capabilities and services.